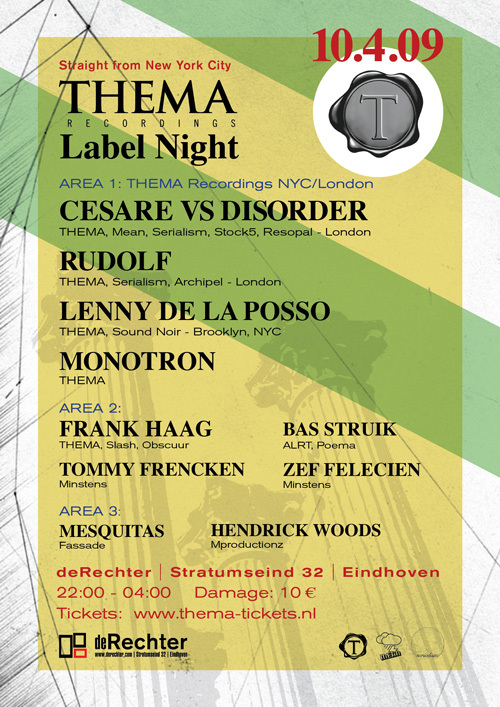 Lenny’s off this weekend to play a couple dates in Europe representing Thema, with fellow artists on the label as well as waving the Sound Noir flag. Friday night he’ll be in The Netherlands playing the THEMA label night in Eindhoven. 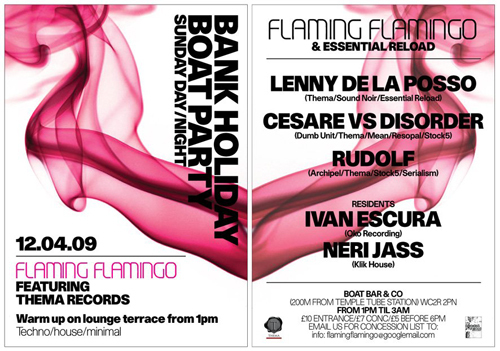 He then heads to London the next night to play an undisclosed afterhours location and on Sunday on the Thames River with Flaming Flamingo & Essentialreload Boat Party. A short but sweet tour! He will be back over in early summer with Alka Rex on a longer, multi-city Thema tour, we’ll keep you posted. 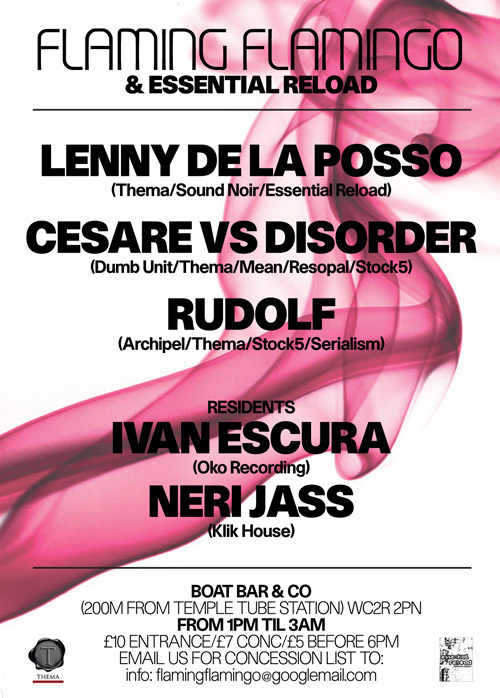 Leonardo de la Posso was born and raised in NYC and has been a part of the underground scene for some time. Founder and manager of THEMA Recordings, where he is working to create a multi-artist platform to help cultivate the scene here in NYC and and its presence in the international underground circuit. His motivation lies in the pursuit to positively engage the audience with the most current and obscure sounds of today, as well as yesterday. Based in New York City, THEMA is a multi-media record label featuring thematic works of music, art and design. Each artist exploring the full spectrum of their discipline, while generating dialogue and collaboration across geographic and disciplinary boundaries. The power of sound and its inflicted emotions are part of the process.